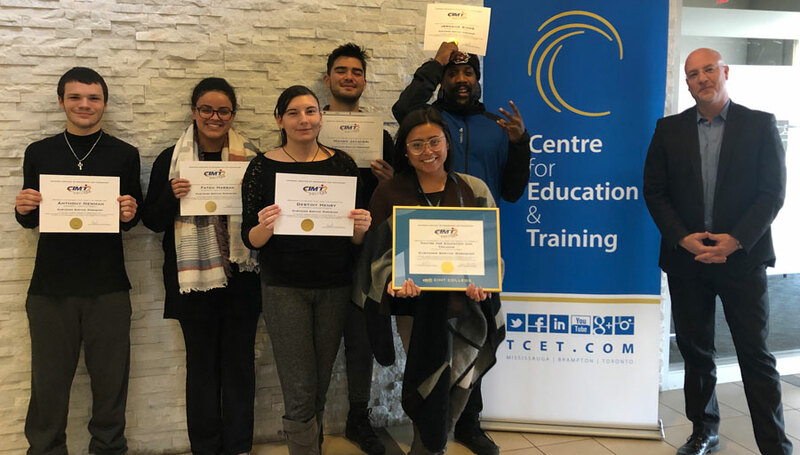 The Centre for Education and Training (TCET) in Brampton invited CIMT College to conduct a Customer Service Workshop for its clients. Our 20 years of experience in delivering customized and industry-relevant training to large, medium and small organizations makes us a preferred training vendor for many businesses, including TCET. The Customer Service Workshop was conducted at the TCET facility at Brampton. Our very professional instructor, Daniel, conducted this 5-hour training, designed exclusively for our corporate clients. The workshop included scenario-based exercises and group work which helped to facilitate learning and build confidence in the participants. All five participants were pleased to be part of this training, and they were all smiles on completion of the one-day workshop. Our Client Katrina, Administration Assistant, Youth Job Connection at TCET wrote, "The workshop went really well. We are so pleased by the quality of service and professionalism your company offers...We are so happy with everything!" CIMT College offers hundreds of short courses, training and workshops, customizable to suit the unique need of the corporate clients. Our ability to provide flexibility in timing, duration and location, and on many other parameters such as content, delivery etc., is highly valued by our clients. Our agility and low turnaround time gives us an edge. In a matter of only 5 days from the initial request from TCET, CIMT College successfully conducted the Customer Service Workshop. That’s speed… and customer service!